the happygirl: entertainme: "people v. the state of illusion"
entertainme: "people v. the state of illusion"
The day after I screened Austin Vickers' new docudrama "People v. The State of Illusion" I thought about those Magic Eye Illusion posters that were a phenomenon in the early 90's. I remember standing with my friends looking at these posters at the mall kiosks and while everyone else saw the 3-D image of a pony or a dolphin I never saw the image. Ever. No matter how much my friends or the clerk tried to show me how to cross my eyes and let the image come into focus I couldn't see the image. It was all in the perception and I just didn't have the ability to see beyond rows of random colored dots. Why do some people have the ability to literally see beyond what is in front of their face? As a leadership training expert, filmmaker Austin Vickers explores the theory that by using your imagination you can retrain your thought processes and change your life, regardless of your current circumstances. In the docudrama, written and produced by Vickers, "People v. The State of Illusion" introduces you to Aaron, a man whose life was thrown off course by a bad decision. Thrown in jail and missing his daughter Hope he is in a precarious position. Can he change his life while incarcerated? When all control is lost what options are there for someone with little hope? Through the story and interviews with experts, audiences are introduced to the idea that regardless of what has happened in the past, what matters is your intention right now. Do you want to change your path? Can you imagine a life that is happy and content? With his background as an attorney and a leadership expert, Vickers brings his knowledge achieving success, self-fulfillment and happiness to the big screen. With experts like Dr. Joe Dispenza (author, "Evolve Your Brain: The Science of Changing Your Mind "), Life Coach Debbie Ford (author, " Courage: Ovecoming Fear and Igniting Self-Confidence"), Dr. Thomas Moore (author, "Care of the Soul") and Dr. Candace Pert (author, "Molecules of Emotion: The Scientific Basis Behind Mind-Body Medicine") among others, viewers will begin to unravel the mystery behind harnassing the power of imagination to create an unimaginably extraordinary life. I had the opportunity to sit down with Austin Vickers recently to discuss the film (the interview will be featured later this week) and one of the things we discussed was that after viewers see this film, they feel good! Perhaps it was the fact that the story arc was one anyone can relate to. (Maybe you didn't do something serious enough to be sent to jail but we've all made bad decisions we regret and some we feel we can't come back from.) The film was entertaining yet fulfilling. 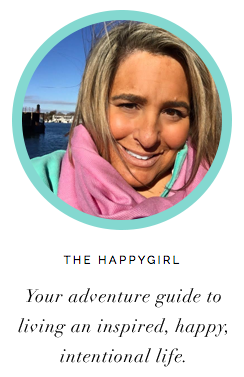 I came away feeling energized and with such great hope thinking that I do have the power to shift my life in any direction by using my focus and imagination. So maybe you can't see the forest through the trees, or the Empire State Building in a series of Magic Eye Dots. Changing your life though, through imagination is something you can. And to think it can all start with seeing a movie. 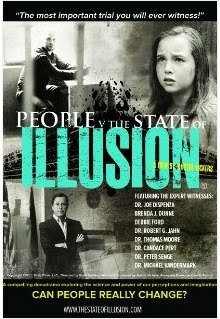 "People v. The State of Illusion"is playing in Seattle March 16/17 and in Denver March 23rd with more dates to be added.